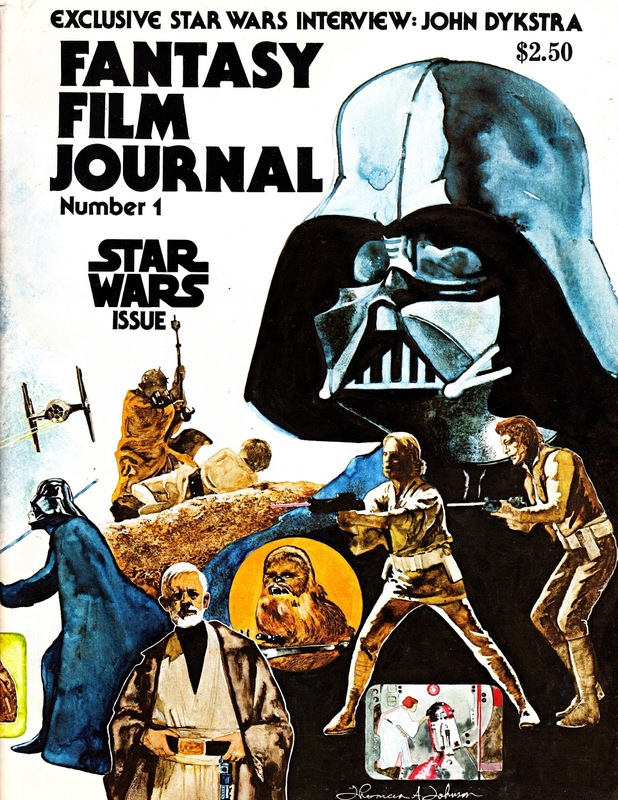 The (uncredited) wraparound cover from another late Seventies unofficial STAR WARS tie-in: FANTASY FILM JOURNAL from late 1977. The issue is heavily devoted to John Dykstra and the work of the movie's effects team. 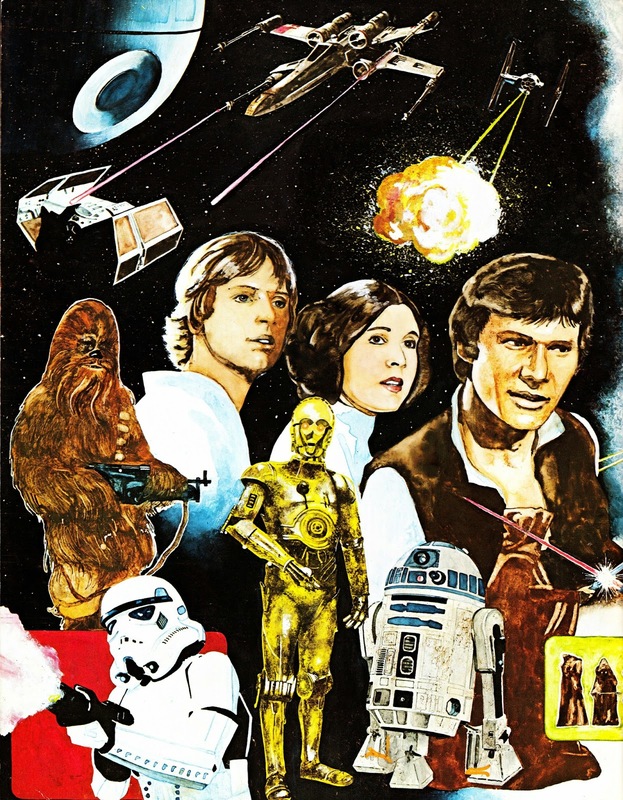 I don't know anything about this magazine (other than it was published in the Staes) so I have no idea whether it spawned any further issues… and whether, as its title suggests, it expanded its remit to a wider range of Star Age activity.